I don’t remember having a cake with beer inside until few months back when I was in New York City. My friend insisted that I try some, telling me that it doesn’t taste like beer at all. She was right it doesn’t taste the beer, but the stout inside adds a twist that calls you for a second bite and more. It’s moist, unlike you might be thinking it’s not bitter, but does have a deep tang. I browsed few recipes online, all very similar. Most use sour cream, but I prefer the fresh organic yogurt I get straight from the farm. I used Almaza Lebanese beer, which I love, but you can use Guinness or your favorite dark beer. I baked this same cake twice this week, and every single bite was a true dose of happiness! Pre-heat the oven to 185°C. Grease and flour a cake pan. In a large bowl, using a hand mixer or a stand mixer, beat butter, beer, and milk. Beat in eggs, one at a time. Beat in vanilla. Add yogurt and mix until incorporated. In a large bowl, combine flour, sugar, cocoa powder, baking soda and salt. Fold the dry flour mixture, gradually in the wet beer mixture, making sure to scrape down the bowl with a spatula. Spoon batter into prepared pan. Bake 40-50 minutes, until cake springs back when gently pressed with finger. Let cool in pan on rack. 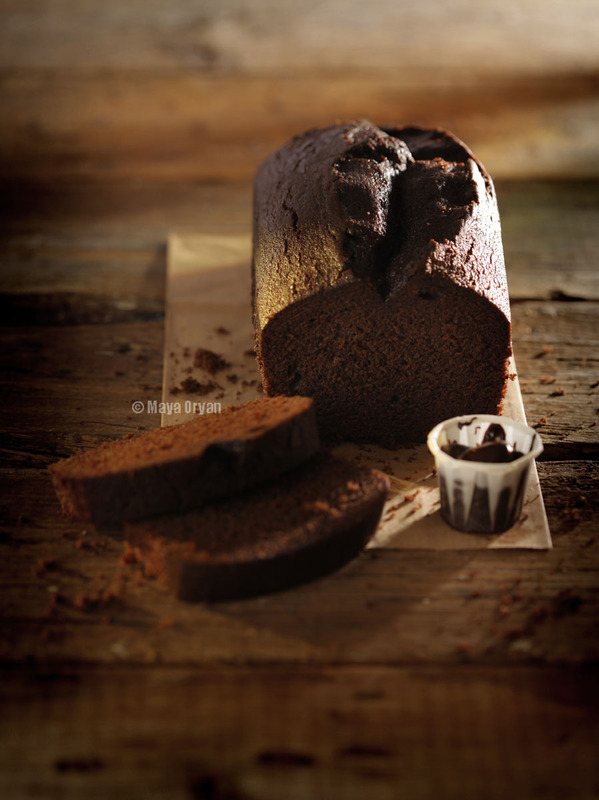 This entry was posted in Desserts, Recipes and tagged almaza, beer, chocolate, cocoa, cream cheese frosting, Cupcake, Dubai Food Stylist, Food Blogger, food photography, gateau, Guinness Cake, lebanese food blogger, Maya Oryan, Mayas Ingredients, Stout cake, sweet potatoes by Maya Oryan. Bookmark the permalink. Yum yum yummm! What is not to LOVE here? Now you’re talking my language – that is an exceptional cake! I lost your blog for a while, but now I’m back! This cake sounds lovely. My husband would especially love it since he only drinks Guinness! What a fantastic recipe – and a wonderful looking cake!